At work sometimes if there is leftover food in the break room if it isn’t finished in a meeting. Normally it is food I can’t eat since I am on the paleo diet which is disappointing because I love free food. A few days ago when I was in the break room and I see a massive bowl of salad which looked delicious. It was catered by Cosi and was completely paleo friendly. It is easy to make and very good. 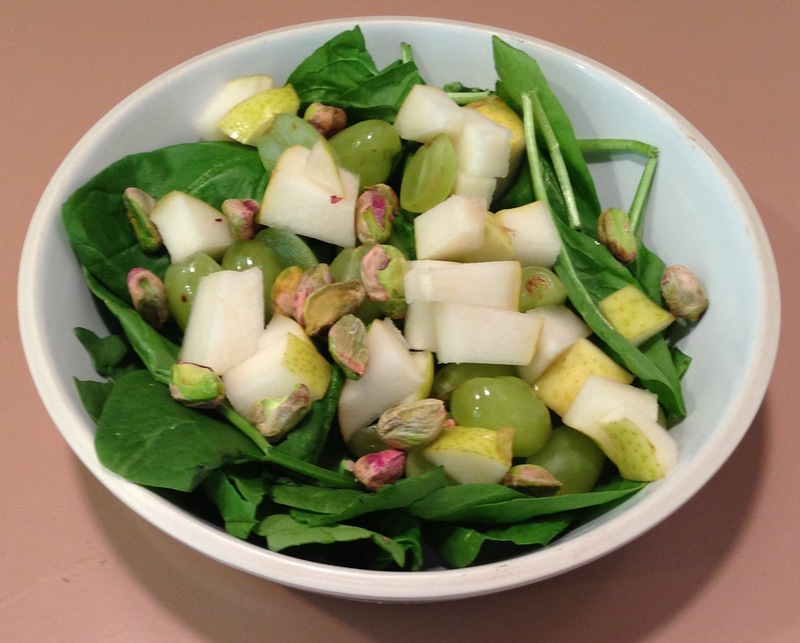 When I have made this salad I have only made it as an appetizer and not as a full meal. If you want it to be a full meal you should probably cook some chicken (seasoned with salt and pepper) to add to the salad so it is filling enough. One pear is enough for two salads in my experience. I have also not decided on the right salad dressing for this salad. So far I think it tastes great without dressing. If you have any suggestions for dressing, let me know in the comments. 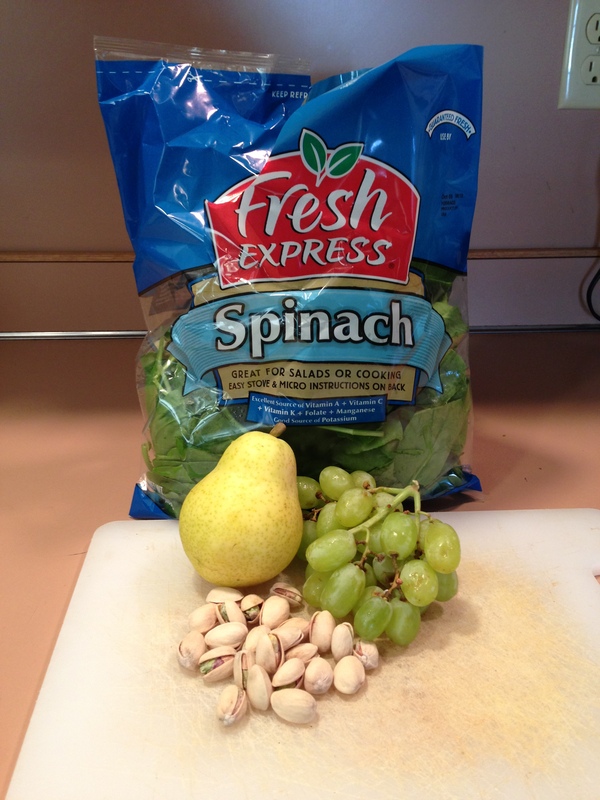 Give this salad a try, it is healthy and delicious! I definitely need dressings for my salads, but I guess with all the fruit in here it may not be needed. Sometimes I just use white balsamic vinegar or lemon juice.. Lemon juice might work as a dressing. I am going to try to find some sort of fruit dressing or invent one. I think raspberry dressing would add a nice flavor. I like this recipe! This is a great idea!